Spring was long coming in Toronto and the GTA, but it was well worth the wait! 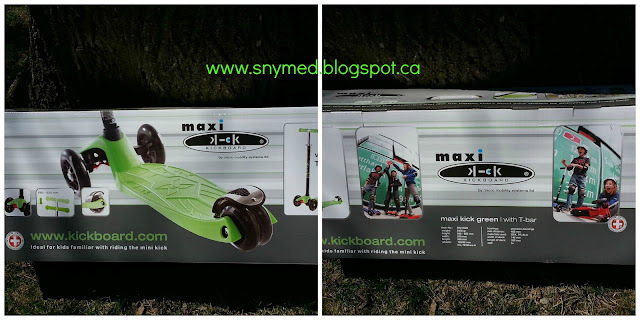 Friday night, right before the beautiful weather begun, Maxi Kickboard Scooter showed up on our front steps, thanks to our friends at Mastermind Toys! It assembled quickly: just by snapping the t-bar into the skateboard frame, with no tools required. We were ready to roll in under 5 seconds, no exaggeration! The box of the scooter states it is intended for ages 5+, although the Mastermind Toys website gives a range of ages 6-10 years old. It's for children weighing up to 118 lbs (50 kg), up to 5'4", and it weighs only 5.5 lbs. The Maxi Kickboard is a 3-wheel scooter and retails for $154.95 from Mastermind. As soon as we removed the scooter out of the box to assemble it, all 5 of my kids rushed up to it like a tidal wave. There was a lot of excitement surrounding it, and the question was which child would go first? We got all kids into safety helmets and headed outside. Look Who Claimed the Scooter! 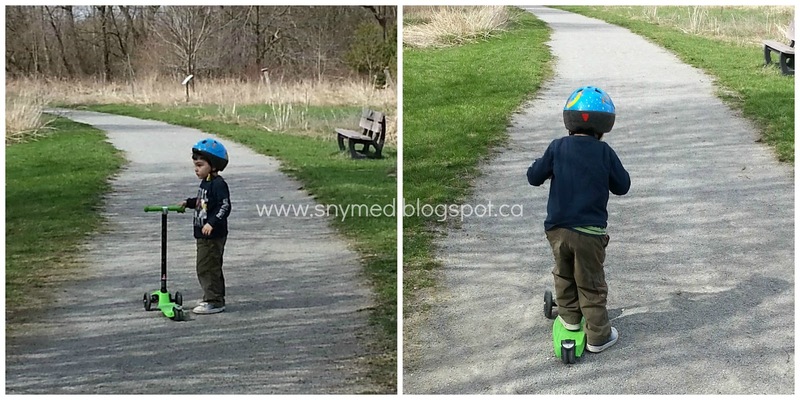 I was very surprised when my 4-year old pushed his way through my 7- and 6-year old children to test the scooter. Even at his age, he will gravitate toward a free ride in the stroller instead of walking. However, green is his favourite colour and the scooter just spoke to him. Imagine my surprise when he spent an entire hour on the scooter, not allowing the other kids to try it up until that point. 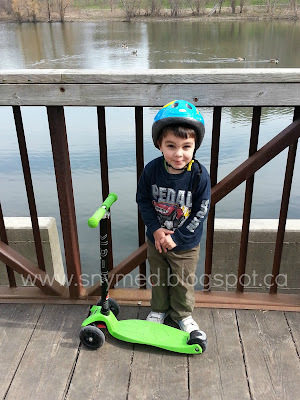 It is true that Mastermind recommends the scooter for an older child, but my 4-year old son was well-supervised and had no issues with falling off. With one foot on the scooter and the other food kicking off on the ground, he was very stable and did not fall. The design of the Maxi Kickboard Scooter definitely added to this stability, with 2 wheels at the front, as opposed to the single wheel scooter design that is often seen. It has a spoon-brake on the rear wheel, but my kids just stepped down with one foot to stop. The scooter was incredibly easy for my kids to use. The lean-to-steer mechanism was very simple too, and it was great for a younger child as the t-bar does not veer off into one direction or the other. Take a look at this video, below, which shows the scooter in motion! I was very impressed with the Maxi Kickboard Scooter which offered a lot of fun for the kids, and kept them engaged and active. I was especially impressed how well it did over a variety of surfaces, including concrete, gravel, and wood bridges. It also performed well uphills and downhills. I was thinking that the scooter would not perform well on such surfaces, but I was wrong. The Maxi Kickboard Scooter is a high-performance, Swiss-designed toy. It is smooth-gliding, easy-to-manoeuvre, and lots of fun to ride. 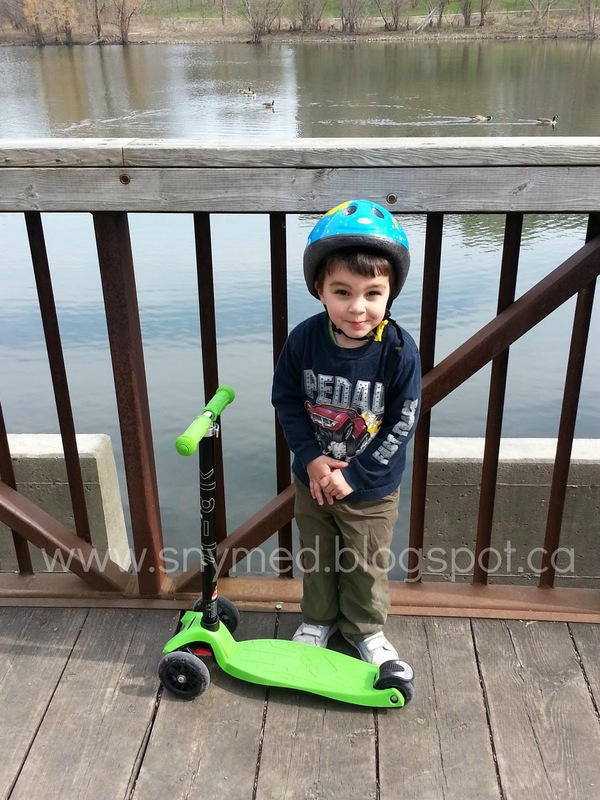 Made from reinforced fibreglass, the scooter is both durable and lightweight. After having tested the toy with my kids ages 4-7-years old, I have to say that it is fun for all these age groups. I would absolutely recommend the Maxi Kickboard Scooter if you are looking for a fun and exciting toy that will engage your child and keep him or her active this spring and summer. I was very impressed with this toy, and found it much easier for my kids to use than 2-wheel scooters. Without my coaxing, this toy got my sedentary 4-year old active and enthusiastic about outdoor play! What is your child's favourite outdoor activity? 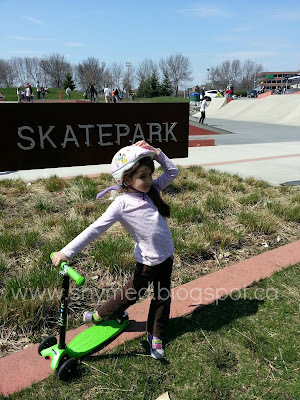 How do you get your family active in the spring and summer months? Lettie, it sounds like you do a lot of fun outdoor activities with your family! My kids also love being sprayed to cool off, and they shriek with excitement! That looks like a super fun outdoor toy! 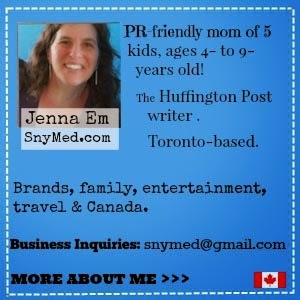 Multi-Testing Mommy, my kids love it! Shashers Life, I noticed that the older they get, the more defiant! We're always looking for toys that will work on a gravel(ish) road so I definitely have my eye on this one. Might have to wait a year as mine just turned three. Thanks for letting me know about this product. Now that Spring has officially arrived, more or less, I'm looking for some outdoor toys for the kids. This scooter looks great and I think it'll also help when we go for walks...we can go further and the kids won't complain. Might have to look into this scooter for them!